Part of our mission at GREY2K USA is to thoroughly research the greyhound racing industry, and shed light on humane problems. 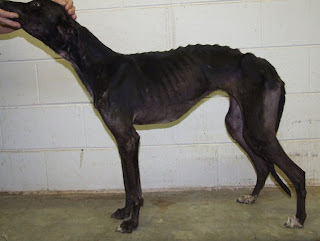 That is why we released today a new Database of State Greyhound Disciplinary Rulings. This database includes nearly 3,000 state rulings regarding problems in the dog racing industry. Some of these rulings are minor infractions, while other rulings are related to severe incidents of cruelty like the infamous Robert Rhodes and Ronnie Williams cases. The rulings come from 13 states, and span more than two decades from 1990 to 2012. We received the documents by submitting hundreds of public information requests over many years. I'm hopeful that this new database will be a resource for members of the media, lawmakers, greyhound advocates, and the general public. It is searchable, and you can download the actual records. Finally, it's important to note that this database represents responses we received from official sources and is offered for informational purposes only. Case information in the database may or may not be complete, and may or may not include the full disposition of a particular disciplinary matter. For additional information, contact Christine Dorchak at info@grey2kusa.org. This is the largest public release of greyhound racing data in history, and will make the industry more transparent than ever before. That is good news, and bodes well for the dogs. There is no doubt in my mind that the more people know about dog racing, the more they support efforts to protect greyhounds.